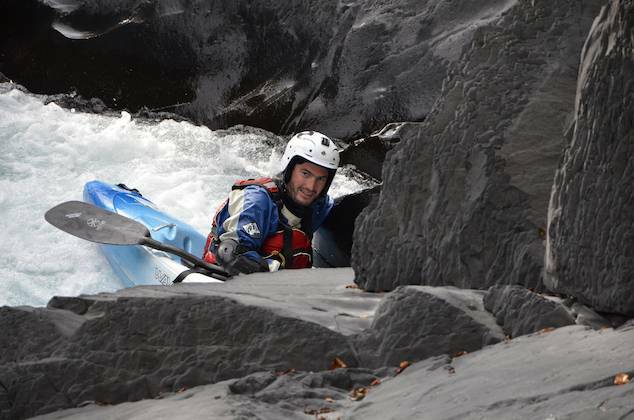 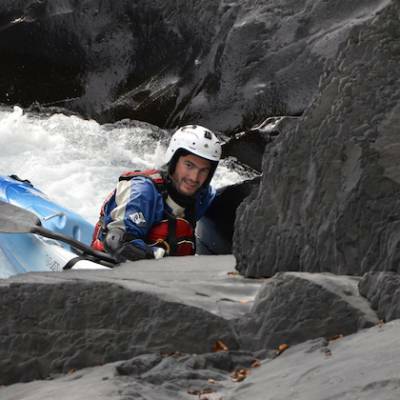 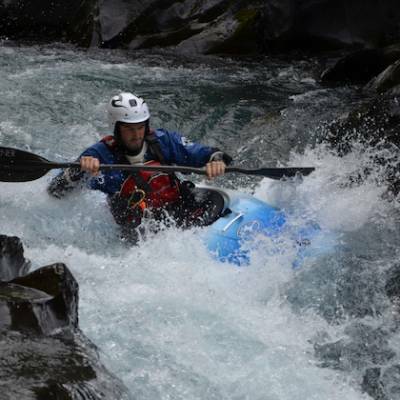 White water kayaking is a specialist sport that requires a certain technical skill level to be able to navigate the rapids safely. 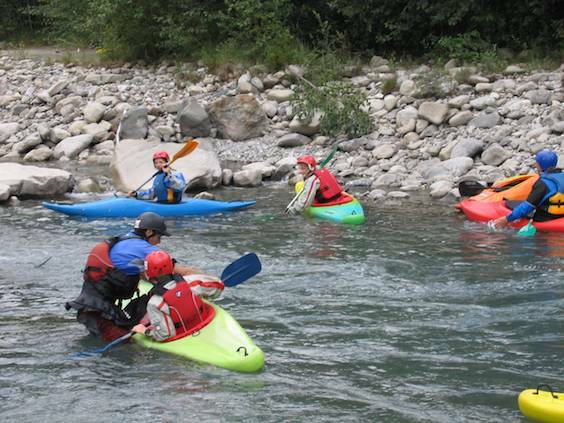 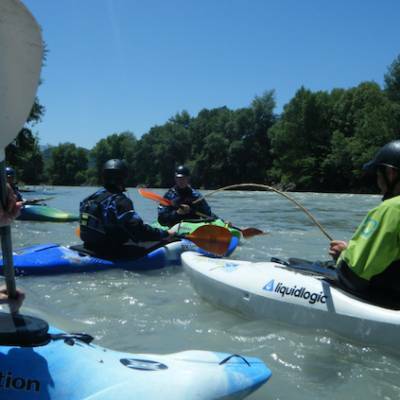 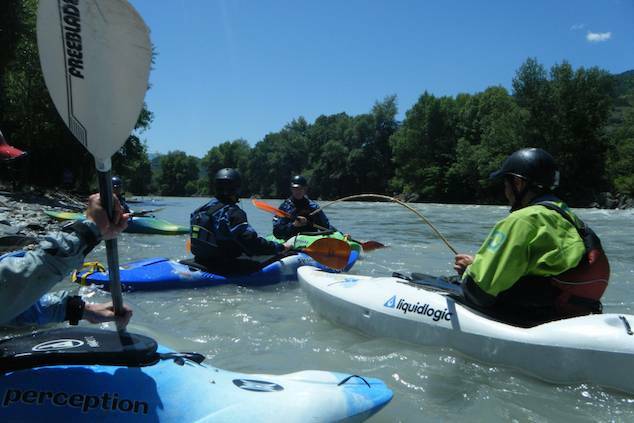 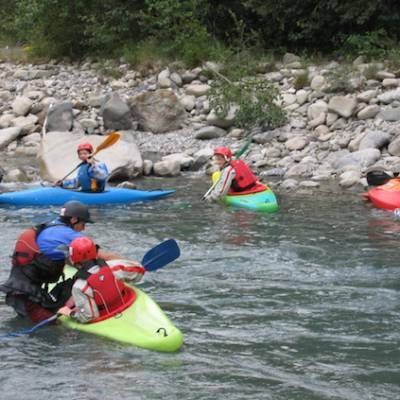 The sport has evolved into various disciplines including slalom, playboating and expedition river descents but the basic skills apply to all disciplines. 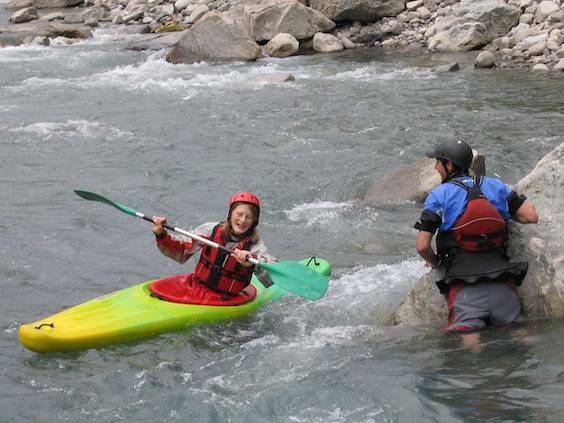 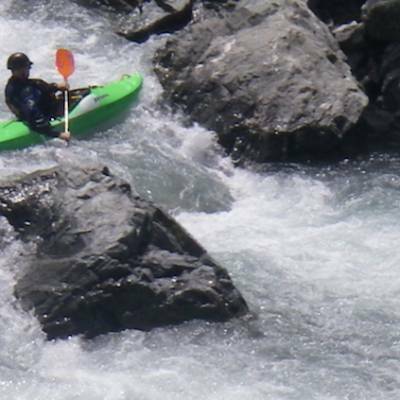 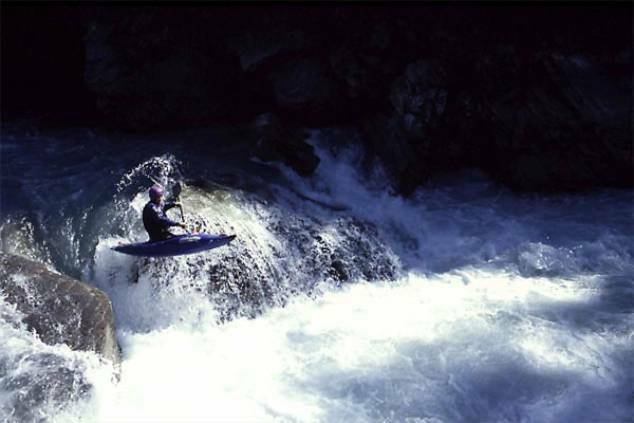 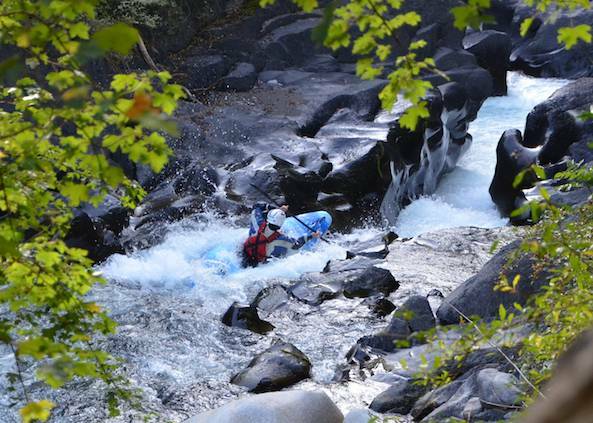 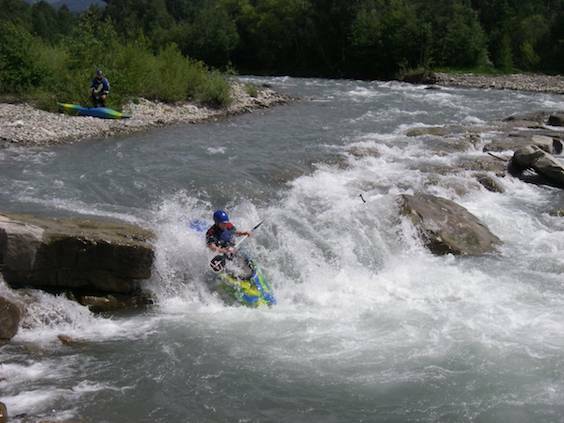 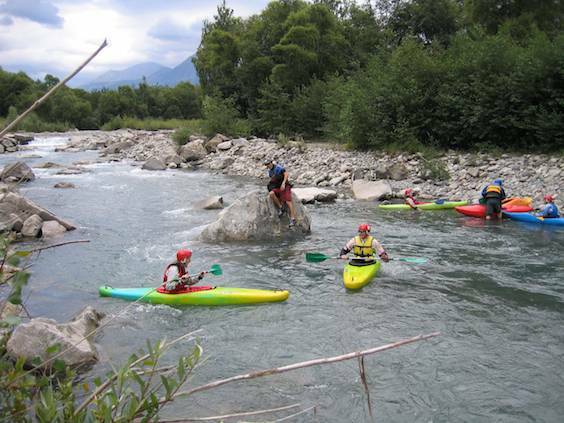 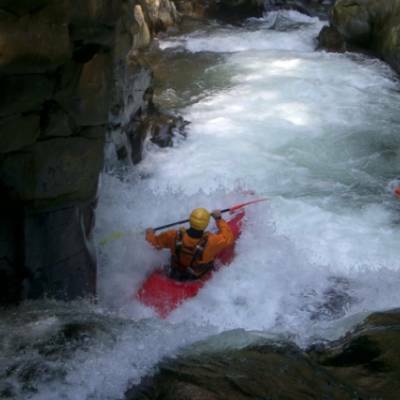 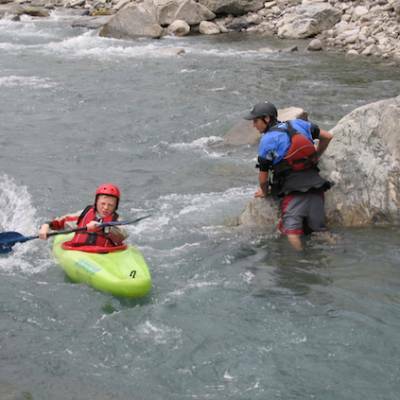 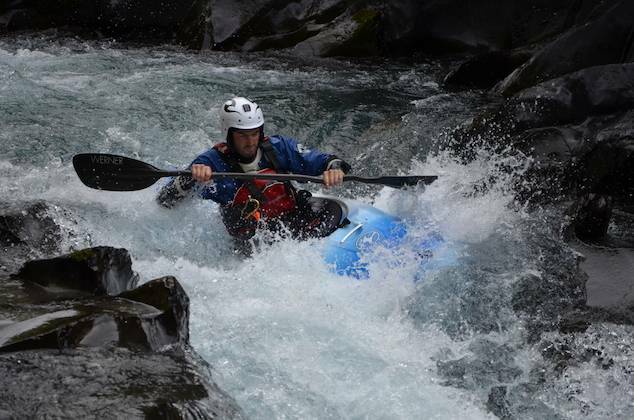 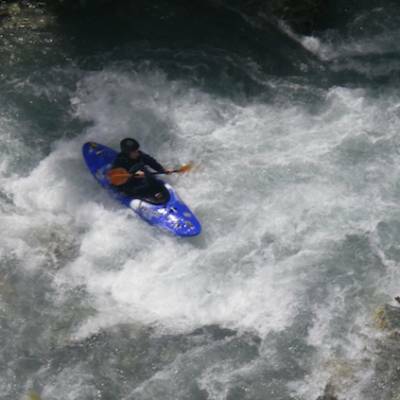 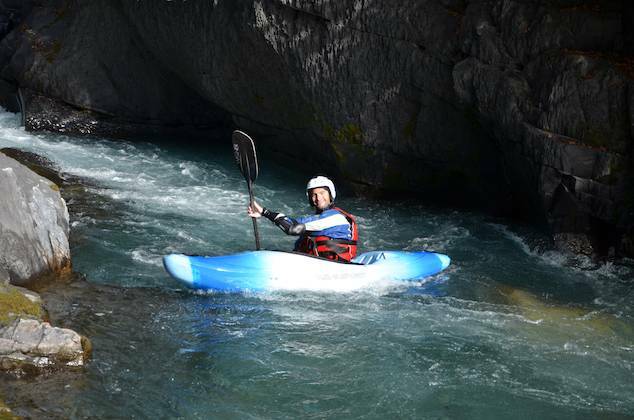 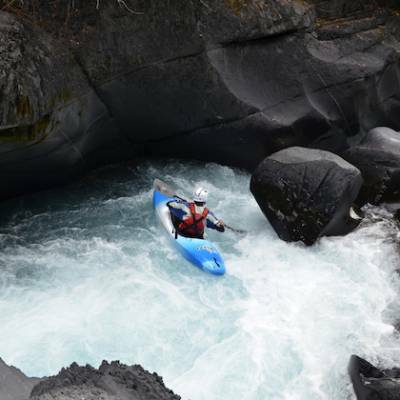 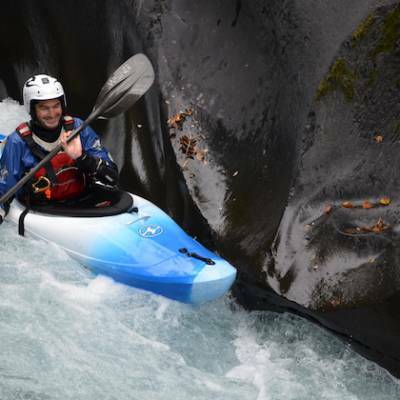 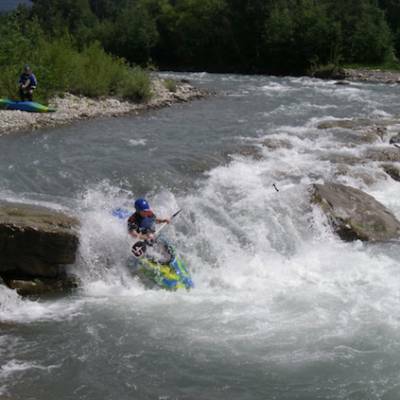 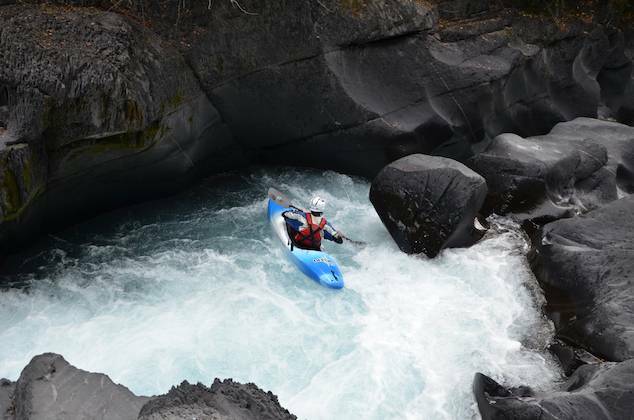 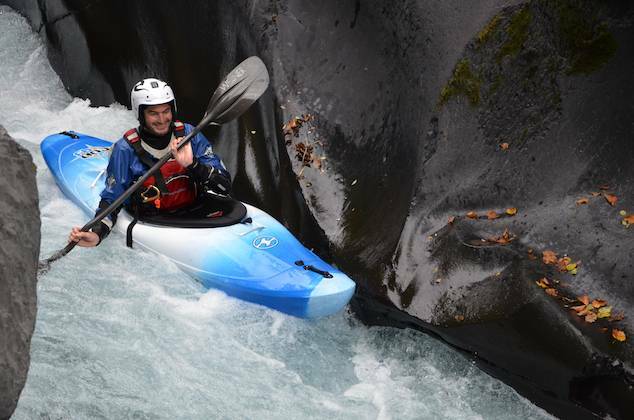 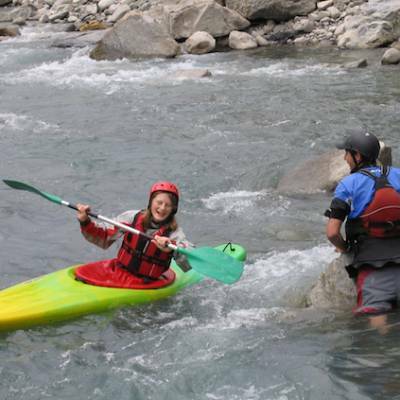 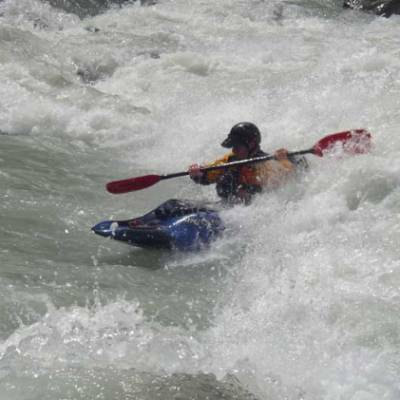 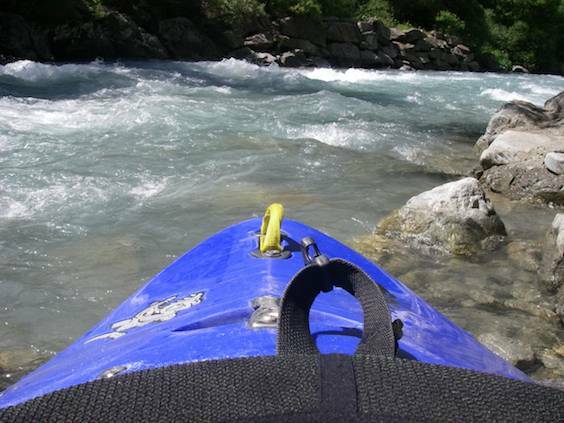 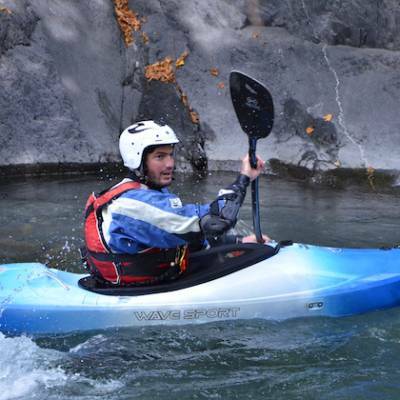 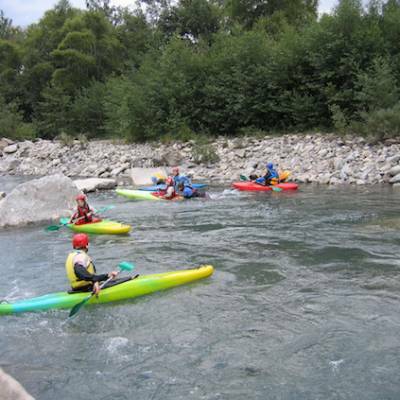 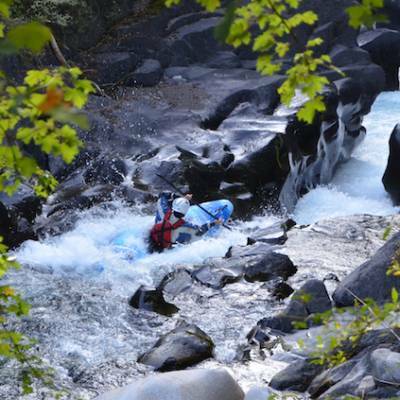 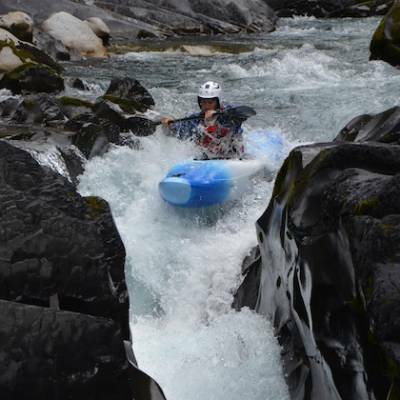 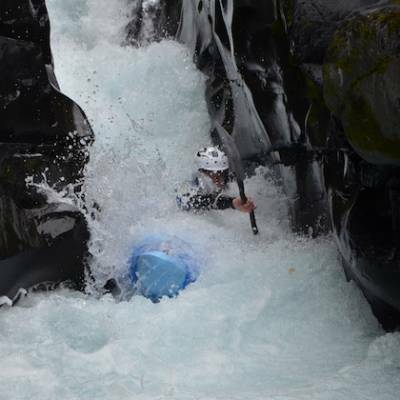 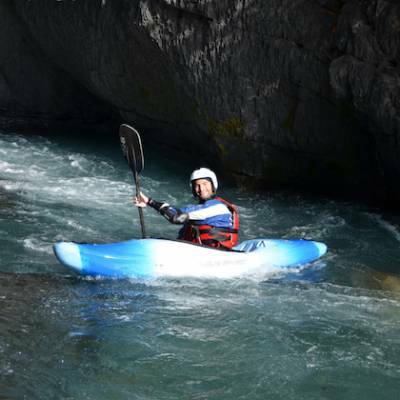 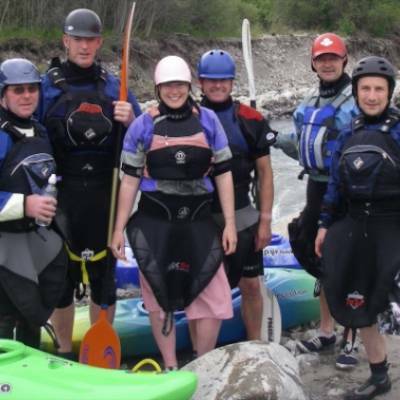 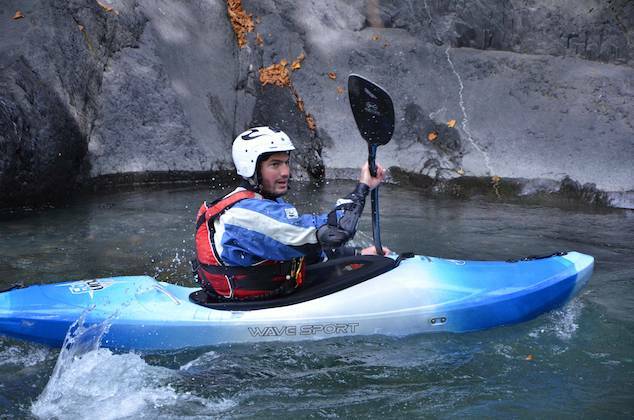 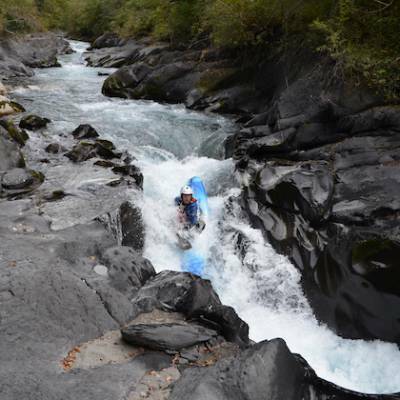 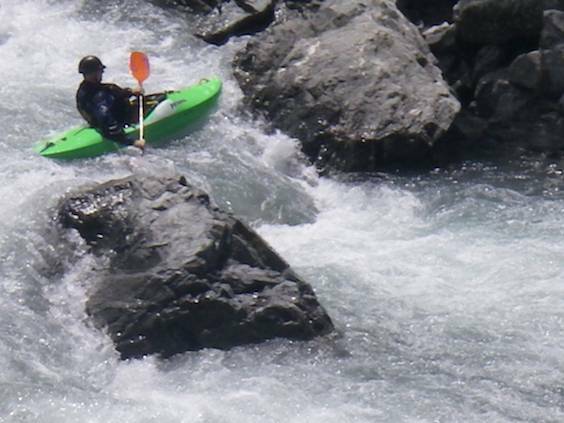 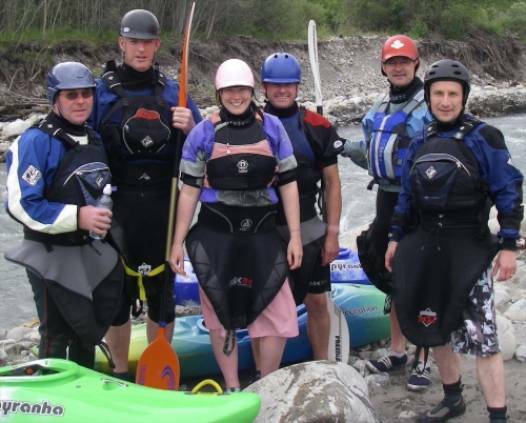 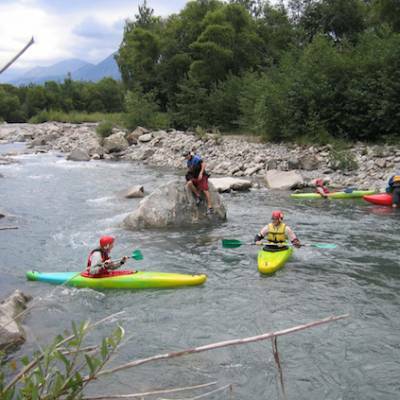 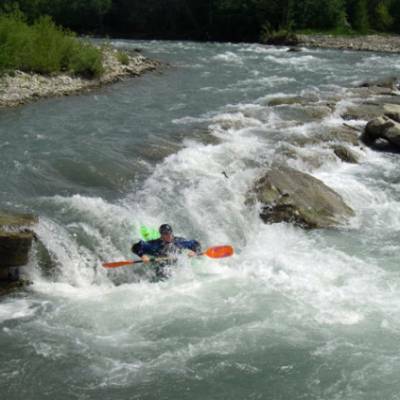 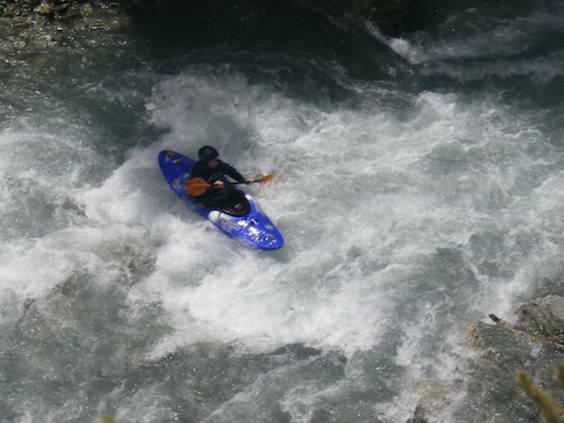 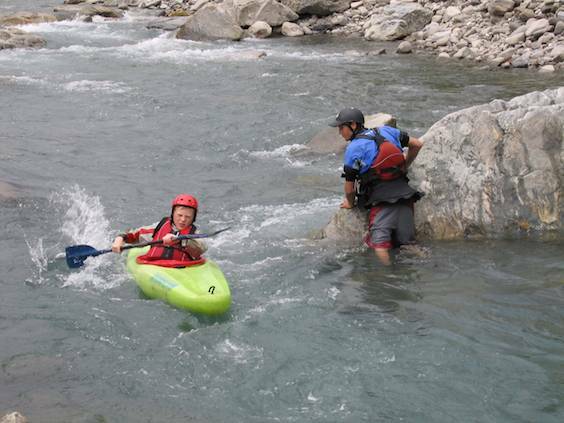 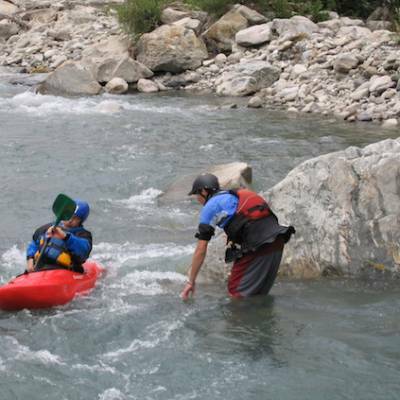 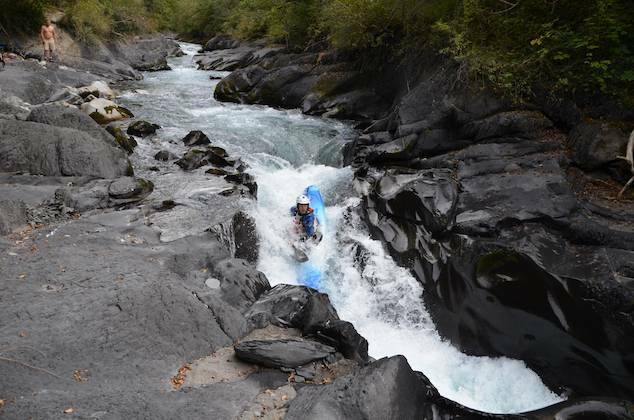 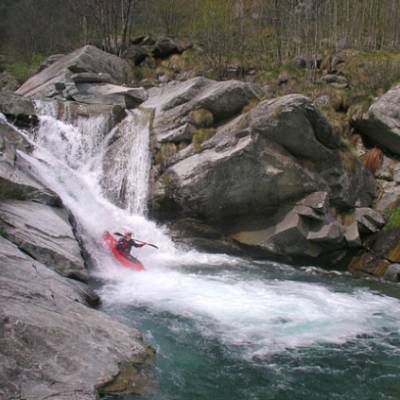 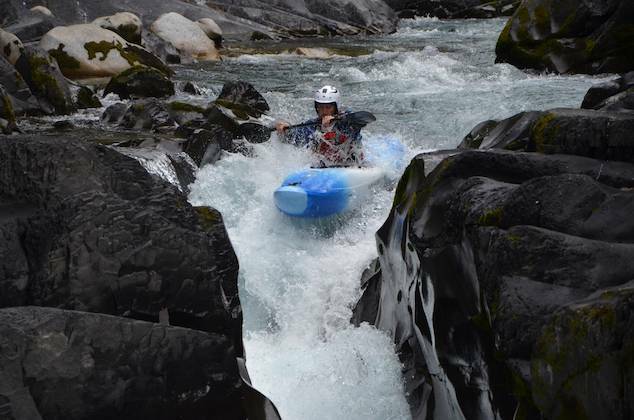 White water kayaks have radically evolved over the years and there are now specialist boats for the various disciplines of white water kayking. 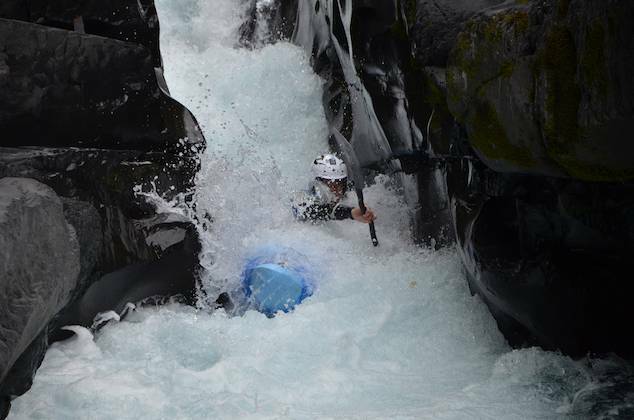 You sit inside the kayak with your feet and knees jammed in and use a spray deck (like a neoprene skirt) to cover the hole and prevent water from getting in. 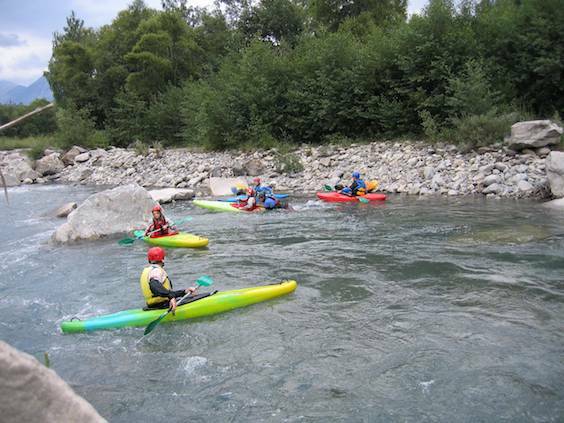 You use a feathered paddle, again the various disciplines have their specific requirements and wear a bouyancy aid, helmet and carry safety and rescue kit on the rivers. 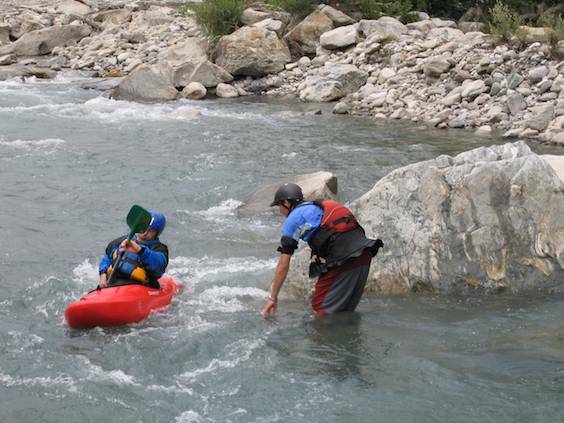 All rivers are graded according to their difficulty. 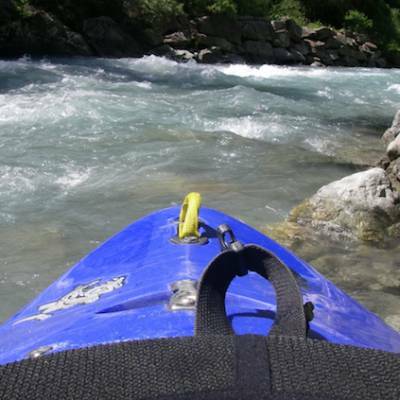 Grading on any river can change depending on the water level and local conditions. 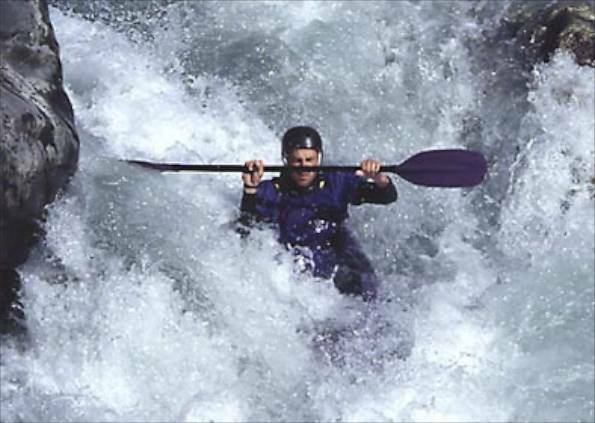 Grade 1: Easy - moving water with occasional small rapids. 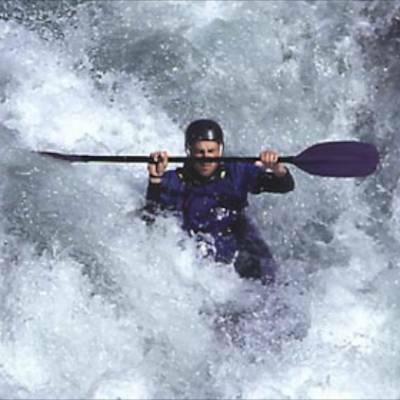 Grade 2: Moderate - small rapids with regular waves. 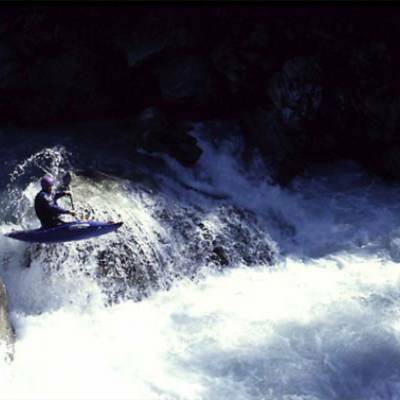 Some manouvering required. 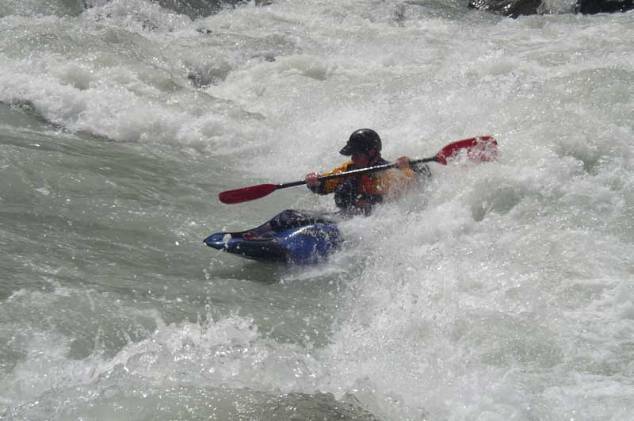 Grade 3: Difficult - rapids with irregular waves and hazards that need avoiding. 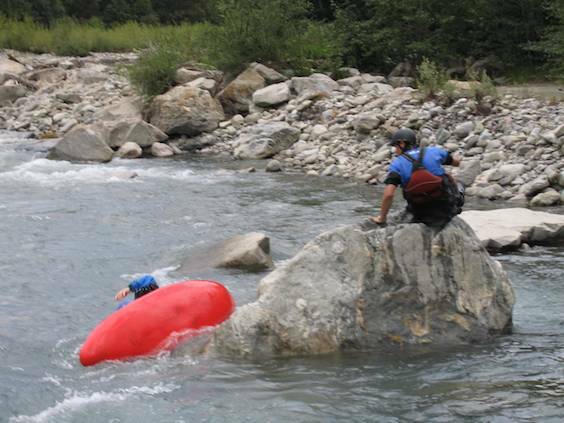 More difficult manouvering required. 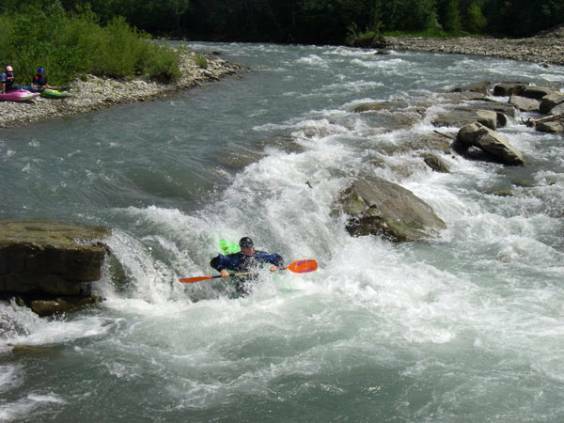 Grade 4: Very Difficult - Large rapids that require careful manouvering. 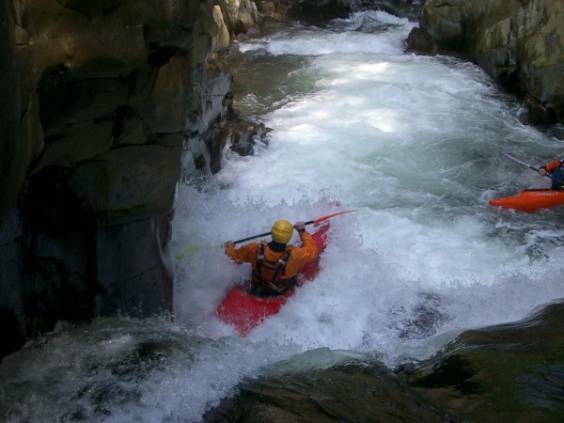 Continous, powerful, confused water makes route finding difficult. 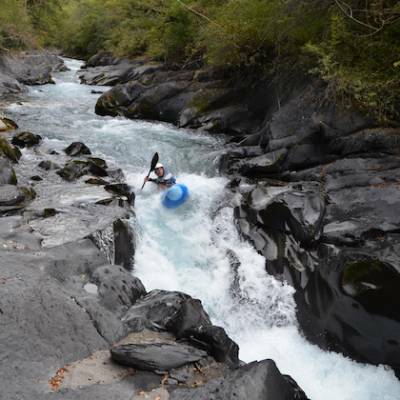 Should be able to roll. 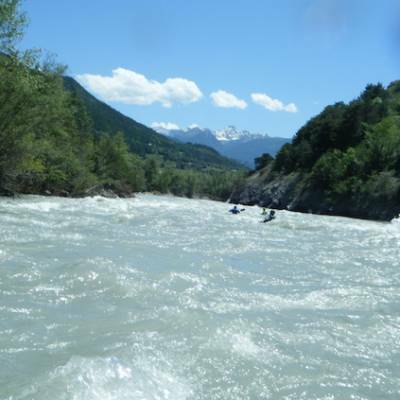 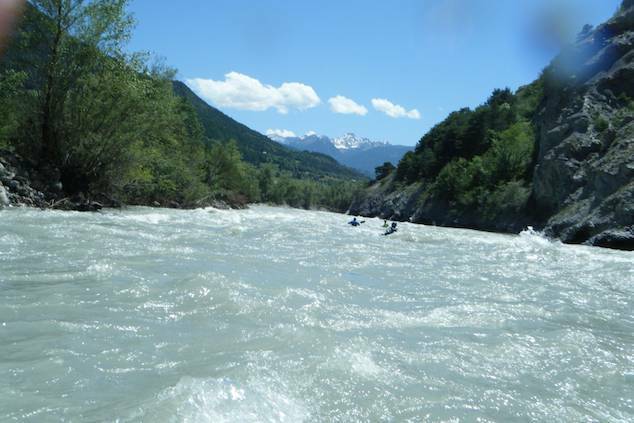 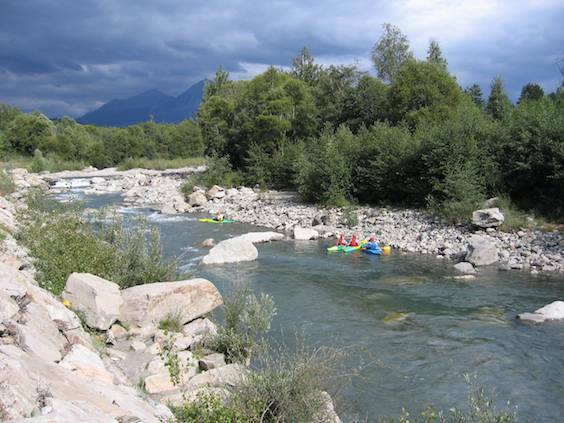 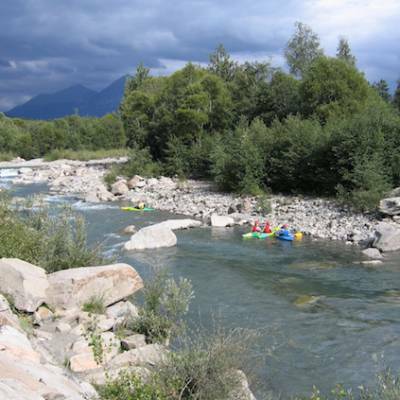 Grade 5: Extremely difficult - long and violent rapids with severe hazards. 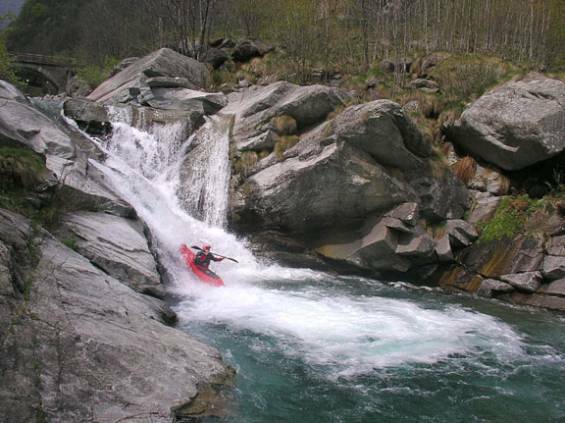 Precise manouvering is critical. 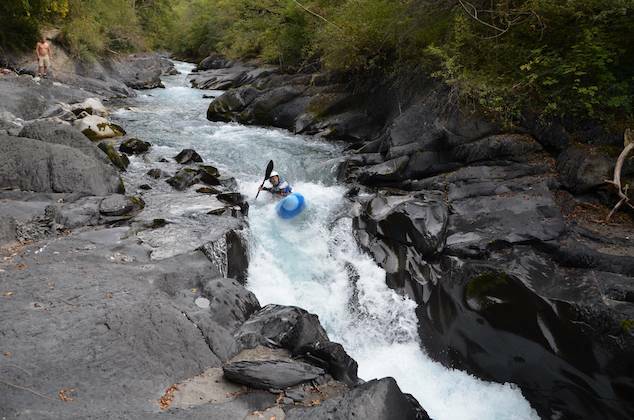 Rolling needs to be 100%. 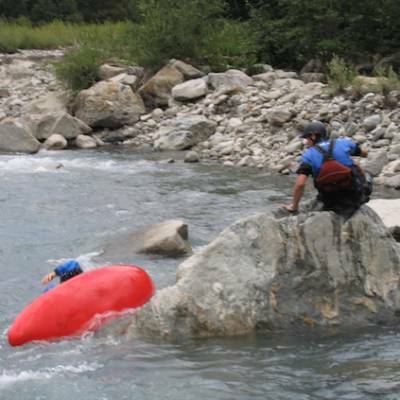 Grade 6: Nearly Impossible - considerable risk to life in the event of a mishap.